About I live in a small, midwest farming community. 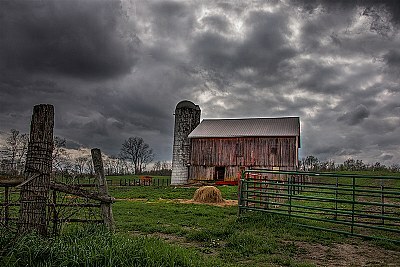 Lots of farmland , barns and everything else related to farming. A very colorful and dramatic shot Allen. Well done. Dramatic very well composed landscape. Fine colors and details.